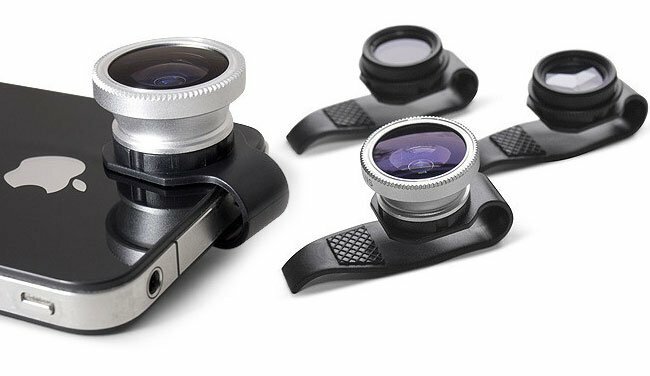 To enhance the photography from your iOS device Gizmon the Japanese lifestyle photography accessory manufacturer, has designed a great range of clip-on lenses which can be applied and removed from your iPhone or iPad with ease. The range of lenses are small enough to fit in your pocket and can provide a little extra creativity to your iPhone photography. The three lenses created by Gizmon include a Fisheye, Circular Polarizer and 3 Image Mirage Filter. When required a lens is screwed on the clip which then holds it in place on your iPhone. The clip-on lenses area available to purchase from the Four Corner Store ranging from $25 to $35 each.